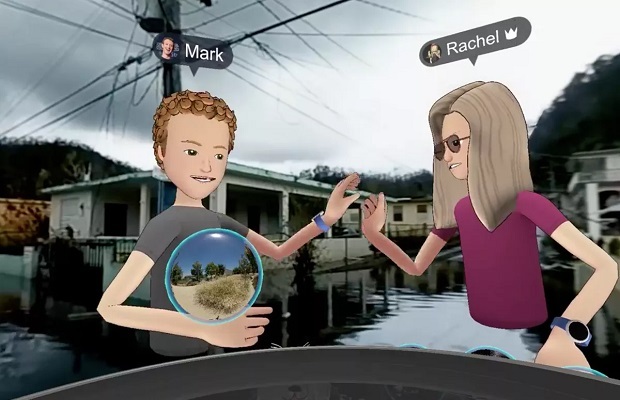 Entries from Digital Intelligence tagged with "latin america"
Mark Zuckerberg has apologised after taking part in a controversial Facebook Live video discussing his company’s efforts to aid Puerto Rico’s recovery from hurricane Maria. 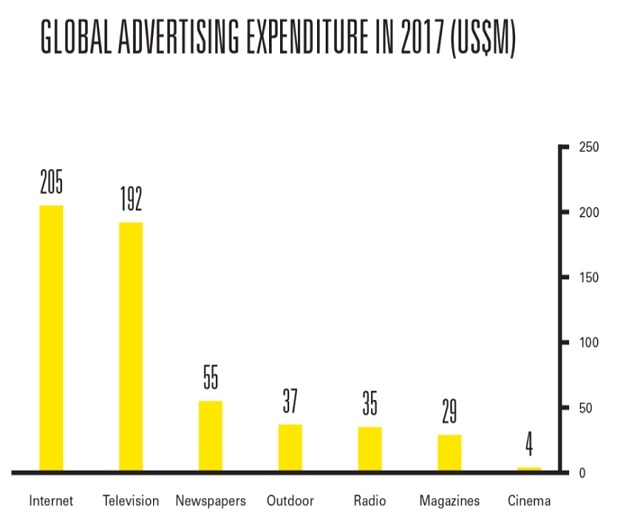 Global ad expenditure will grow at a slower rate than of 4% in 2017, driven by digital formats such as video, paid content, native and in-feed social media ads, according to research from Zenith. 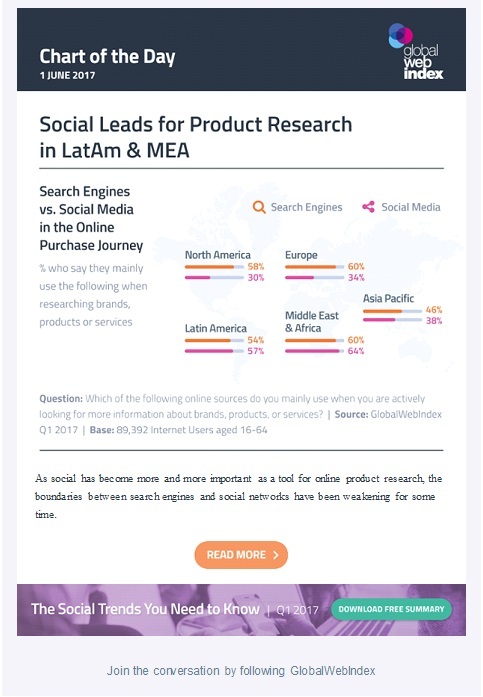 As social has become more and more important as a tool for online product research the boundaries between search engines and social networks have been weakening for some time. New research from Global Web Index reveals the most popular channels for product research around the world. 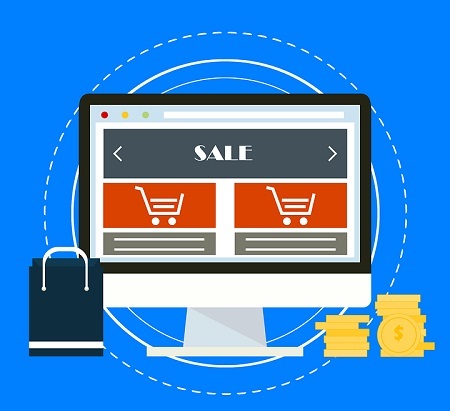 An impressive 82% of web users in Asia Pacific shopped online in the last month, while just 52% did so in the Middle East, according to new research from Global Web Index. Global advertising spending will continue to increase at growth rates of between 4 percent and 5 percent through 2019, Zenith says in its new Advertising Expenditure Forecasts report. 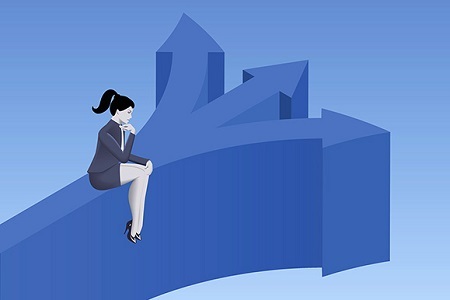 A new global study commissioned by the Futurestep division of Korn Ferry reveals the missed opportunity for companies that fail to strategically link talent acquisition with business strategy. Brazilian beer Skol is the most valuable brand in Latin America for the second year running, but there has been a 22% decline in total brand value since 2015, according to new research. Netflix’s strongest markets are in the Americas, where the platform can claim that over half of internet users are watching the service, according to new research. 2016 will see Asia-Pacific overtake North America as the world’s biggest market for digital advertising spend for the first time, according to the latest Advertising Forecast from research and consulting firm, Strategy Analytics. Kantar Media and comScore have announced the latest development in their global strategic alliance, with a series of cross-platform solutions will soon be unveiled in Latin America. 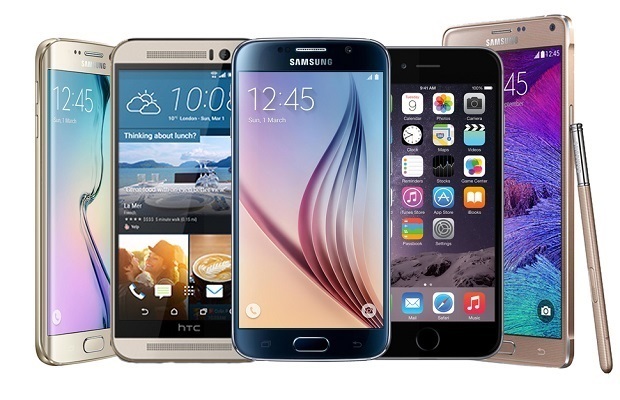 Smartphone growth acceleration in China drives demand, but turmoil in Brazil has lead to declining smartphone sales in Latin America, according to new global research. WhatsApp usage is highest in Latin America, while the chat app struggles in North America, where stable-mate Facebook Messenger leads the way, according to new research. Unilever's deodorant brand Axe has taken a novel approach to video ads in Brazil, using a ‘Romeo and Juliet’ video ad that can be served programmatically with a massive 100,000 variations, depending on a user’s interests. AXE. Romeo Reboot Manuel | Trailer (english) from THE KUMITE on Vimeo.